Disclaimer: Before I start this review, I’d like to clearly state that during some many parts of the review you would feel that it’s not unbiased like all our reviews are. Well the truth is, this review is 100% unbiased and was vetted by members of our editorial team so that my love for Lenovo doesn’t hamper the credibility of this review. I consider myself lucky to have got an opportunity to spend candid time with Kevin Beck, Explainer of Things and discuss about ThinkPad’s in detail. 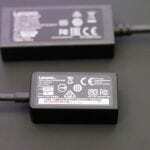 And these conversations were apart from the dedicated sessions we had for ThinkPad’s. If there is anyone else apart from Arimasa Naitoh – ‘Father of the ThinkPad’ and David Hill, Vice President, Chief Design Officer & Distinguished Designer at Lenovo’s PCB/EBG who knows more about ThinkPad’s its Kevin Beck. 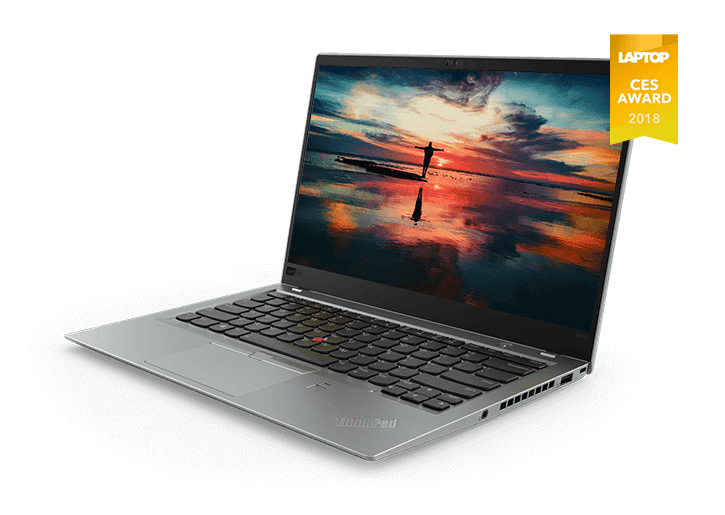 So, when Lenovo announced the new ThinkPad range at the Consumer Electronic Show (CES 2018) in Las Vegas a few months ago. Kevin himself talked about the new range – models, improvements, specs etc. It was a delight for all the media folks there as Kevin being the explainer of things explained everything in detail and with finesse. For a tech journalist, being a part of CES is like what is driving on the Nürburgring for an automobile enthusiast. Hence, I was super excited to be there in Las Vegas for the biggest technology show in the World. 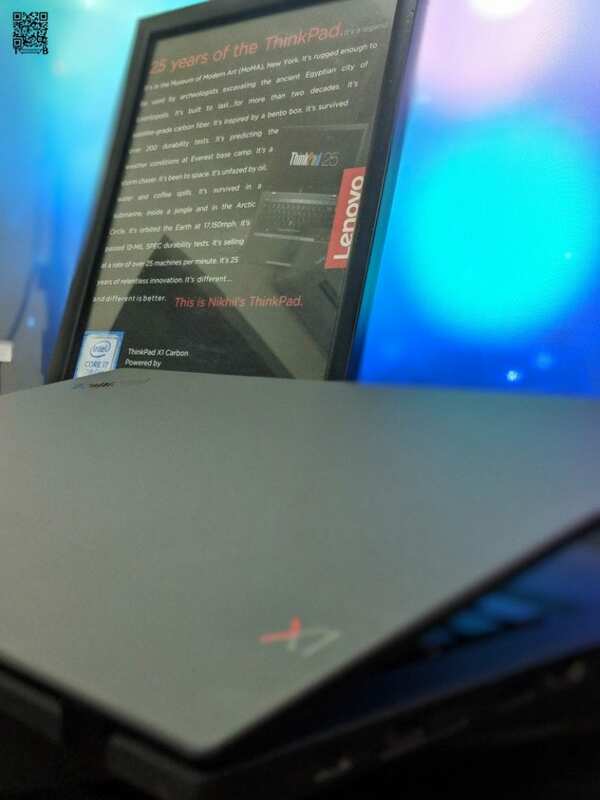 And my excitement went up manifolds when I saw the new X1 Carbon range of ThinkPads by Lenovo. I swear, I was drooling mentally when Kevin was talking about every inch of it in detail. Right after the session, we were given time to test the machines and I can’t get over that moment when I wished with all my might to own the X1 Carbon one day. It was the exact feeling when I first tried the Lenovo Yoga 920. 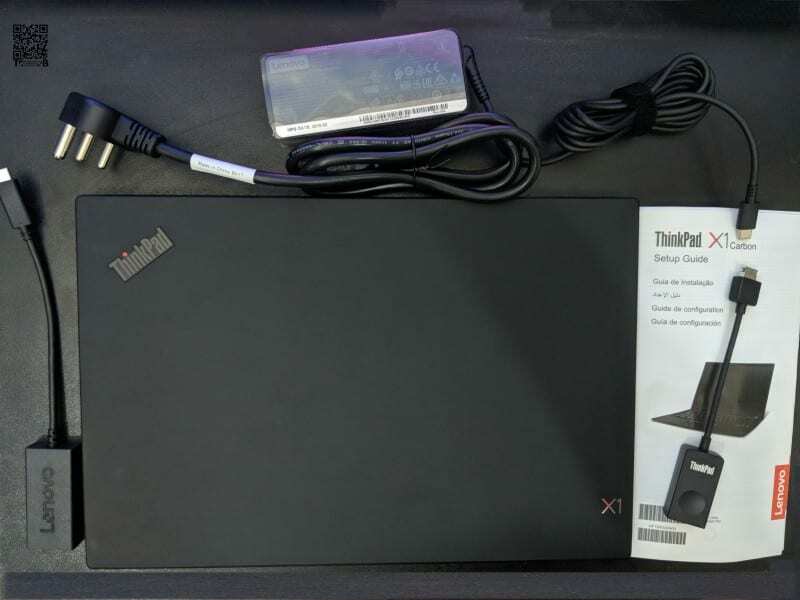 In the box, you get the 6th Lenovo ThinkPad X1 Carbon notebook, 65W Type-C Power Adapter, HDMI connector/dongle, LAN or Ethernet port connector/dongle and the usual documentation. 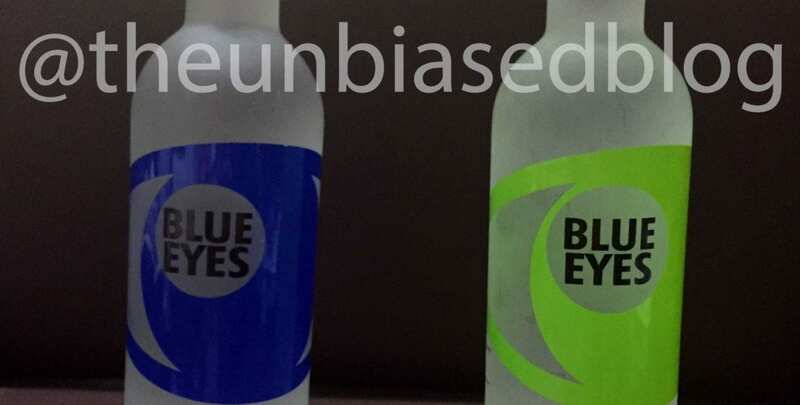 · Optional: IR camera – required for facial recognition. ThinkShutter is not available on configurations with the IR Camera. Anything I say about the build and design of the X1 Carbon it will be an inadequate expression of how pristine it is. Simply put, it’s built with the same material as Fighter Jets, Formula 1 cars or Supercars from Ferrari or Lamborghini and even Spacecraft from NASA or SpaceX. As the name suggests, X1 Carbon has a carbon fiber chassis making it the slimmest, lightest yet sturdiest notebook money can buy. ThinkPad’s are like Porsche 911, they keep getting better under the hood but the overall look and feel remains the same. 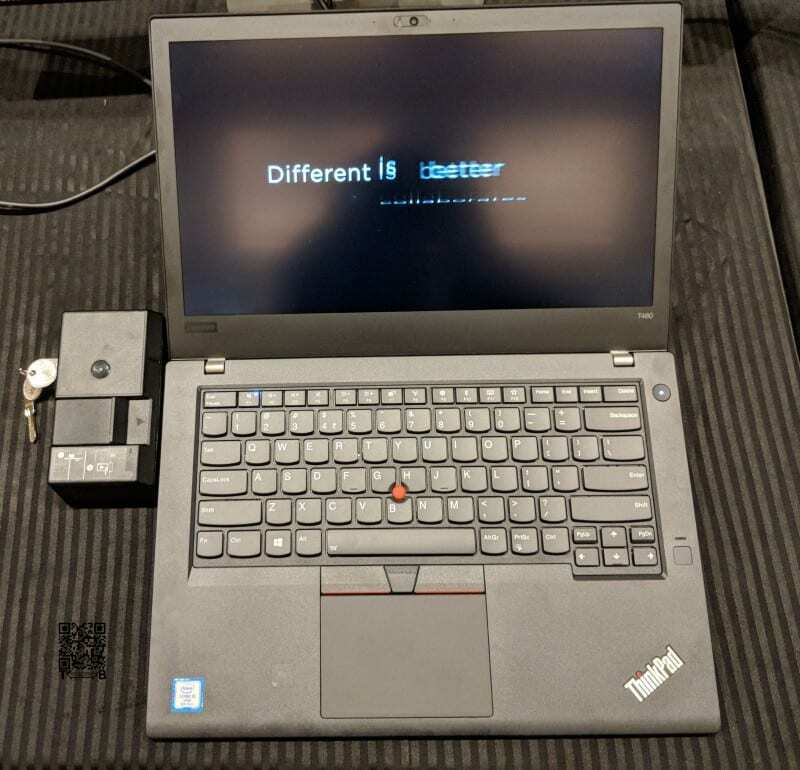 Just like you can easily spot a Porsche 911 on a street full of cars, you can easily spot a ThinkPad at a busy airport. 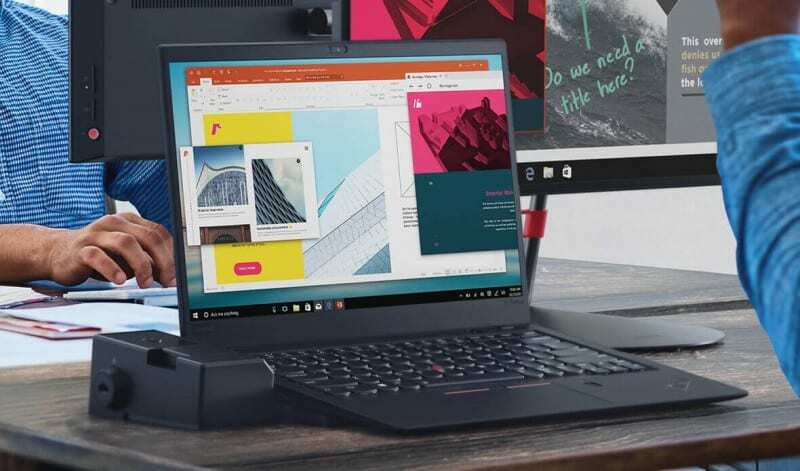 And latest ThinkPad X1 Carbon carry forwards the lineage of the same design philosophy with subtle changes. 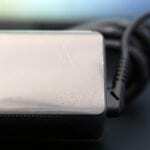 The X1 moniker on the lid stands out so that people know that it’s best ThinkPad money can buy. 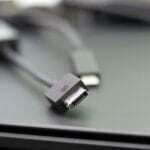 The device is covered in soft and plush carbon material. 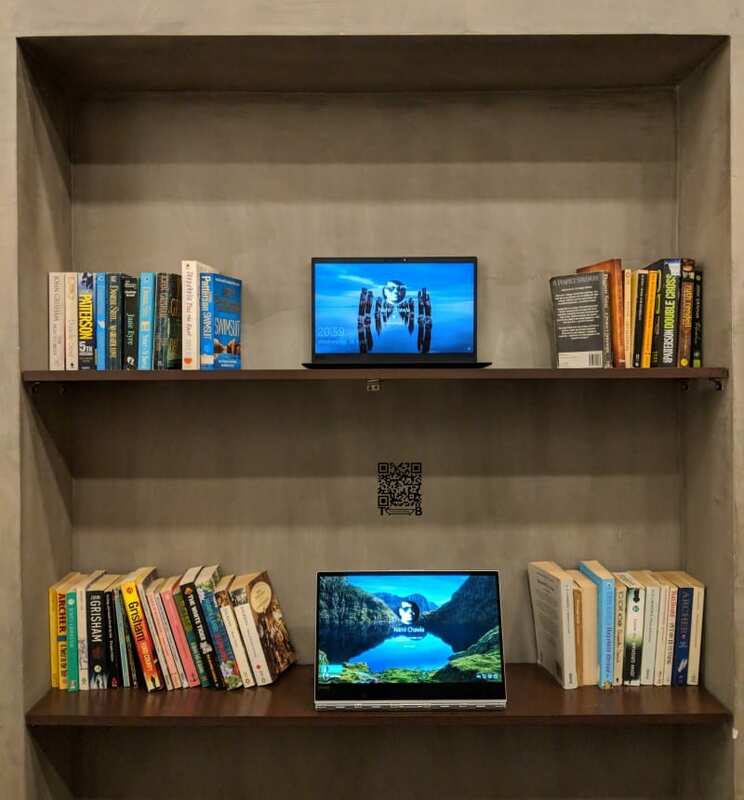 Weighing only 1.1 kg, the 6th gen X1 Carbon is even lighter than the ultrabooks available in the market. It all started with a Think Notepad as the idea for the name, Black Colour as the new default, Bento Box as inspiration, TrackPoint as a value add. And for the past 25 years, ThinkPad’s are evolving with each passing year. The 6th gen X1 Carbon is an epitome of those 25 years of engineering. 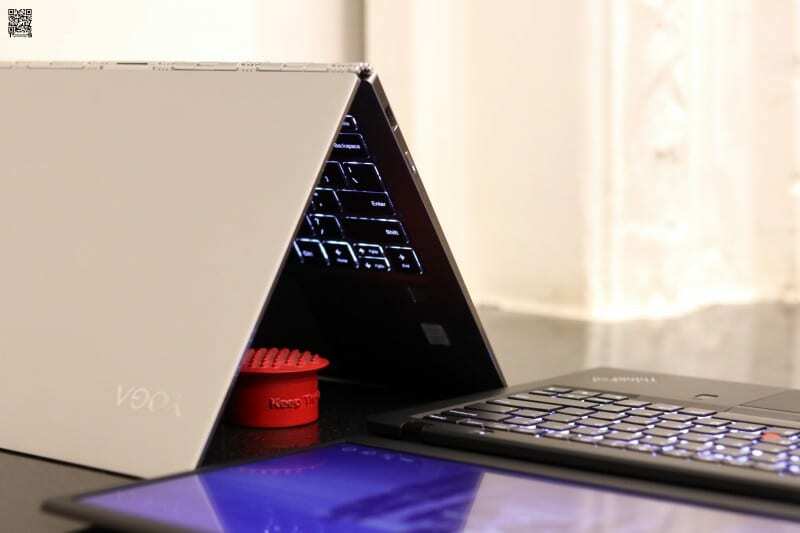 It’s super thin and light, with the top of the line technologically and robust as a tank. 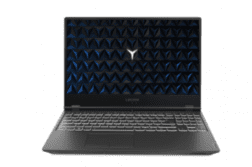 By top of the line tech, I meant – 8th Gen Core i5 or i7 processor; Windows Hello Facial Recognition, Fingerprint Scanner, Windows Precision trackpad; USB-C charging; far-field microphones for voice commands to Alexa or Cortana; a touchscreen or HDR display. 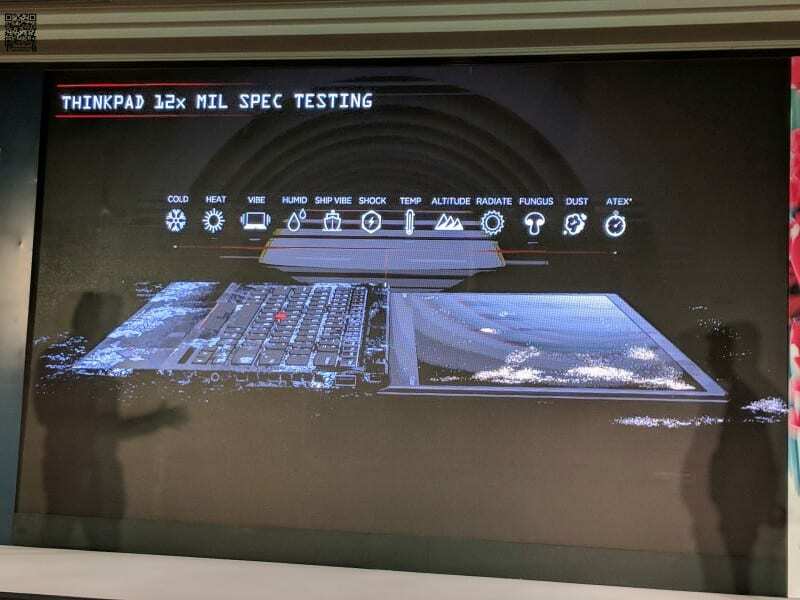 And like most ThinkPad’s the X1 Carbon can withstand extreme temperatures, shocks, and vibrations thanks to the 12 MIL-spec tests it has to go through. 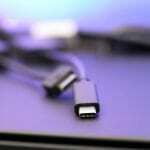 On the left are the two USB Type-C, a docking port, a USB Type-A, and an HDMI. On the right side, you’ll get the Kensington lock slot, a headphone jack and another USB-A port on the right. 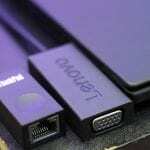 Around the back is a slot for a microSD card and a SIM card slot for the optional integrated LTE modem. We live in the world of smart assistants like Amazon Alexa, Apple’s Siri, Google Assistant and of course Cortana if you are a PC user. 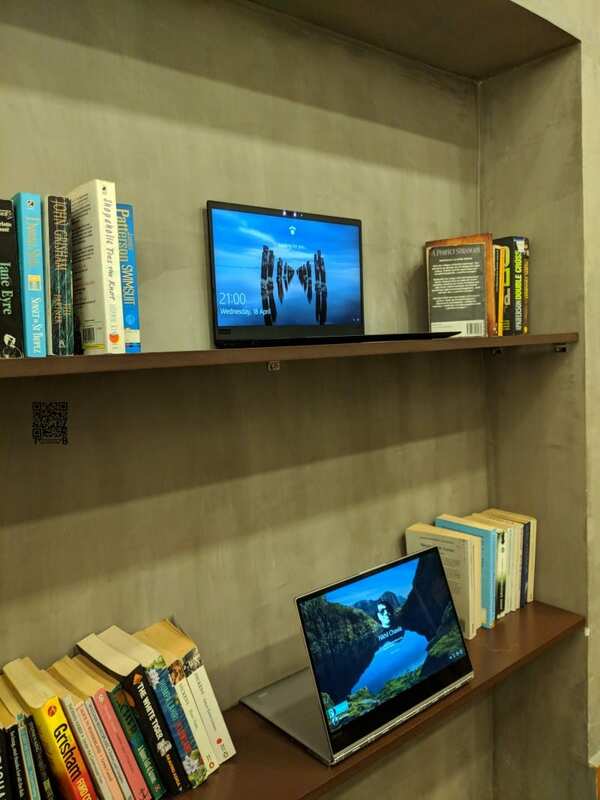 Keeping that in mind, Lenovo has installed two far-field microphones in the new X1 Carbon, allowing users to talk to Cortana from up to four meters away. It’s a great feature but personally I don’t like talking to my laptop and also Cortana is the most robotic sounding of the lot. I’m sure someday I’ll figure out more use case scenarios for Cortana but till then I’ll give it a pass. Other than the Processing power, it’s the Display on the X1 Carbon that is the most noticeable update. It comes with various resolution options that go up to 2560 X 1440p with HDR and Dolby Vision. The top variant which comes with a Wide Quad HD screen is the highest quality of Display you would find on a laptop. It has 500 nits of brightness, Dolby Vision and DisplayHDR 400. The display on the X1 Carbon has a 16:9 aspect ratio, which is slightly wider than the 3:2 aspect ratio on other ultrabooks. As it comes in different resolutions users also get an option for a touchscreen variant. But what’s different about the touchscreen on the X1 Carbon is that it comes with IPS anti-glare matte panel. A relief from the glossy and reflective touchscreens found on other machines. 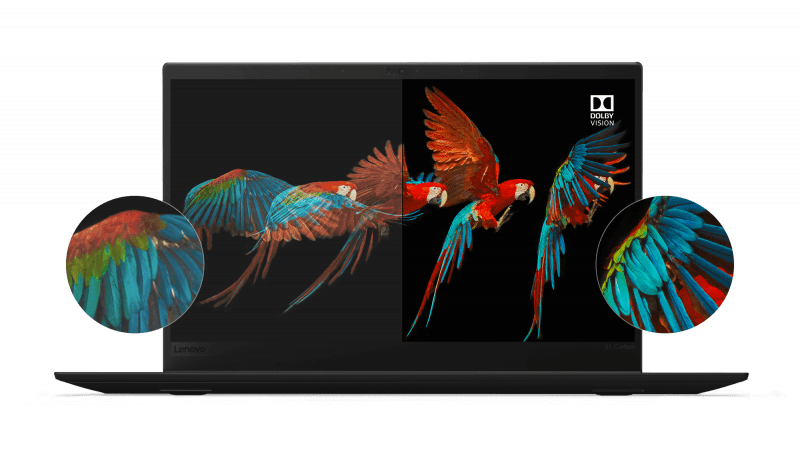 The 6th gen Lenovo ThinkPad X1 is first PC to include Dolby Vision that deliver increased brightness, expanded contrast, accurate colours, and refined detail. It’s a delight to use the super-bright display in a narrow-bezel design that’s just 15.95 mm thin. More importantly, even with 500 nits the impact on the battery life is minimal. ThinkPad’s are what they are for many reasons and its keyboard plays an important of the overall experience. Typing on the ThinkPad is a dream come true for a person who types for a living. The level of accuracy and productivity gets an instant boost thanks to the flawless keyboard with a 1.8mm of travel for each key. The curved front edge and dished top matched with a seamless tactile sensation is so good that you will get addicted to typing on a ThinkPad in no time. The only downside of the ThinkPad keyboard is that you wouldn’t like typing on any other machine once you get used to it. I’m saying that with my personal experience as I use the 15” Apple rMBP (not the butterfly keyboard) for my video edits on FCPX and I have been using that machine for almost 3 years. Yet, using the X1 Carbon for just 2 weeks made me feel that one of the best in the industry still could learn a lot from Lenovo especially after the scissor/butterfly switch debacle. The only keyboard that comes close to the one on X1 Carbon is it’s sibling from the consumer side – the Yoga 920. I’m lucky that I have been using the best of both world’s (X1 Carbon and Yoga 920) for almost a month now. In a way owning the Yoga 920 will make it less harder to part ways with my favourite ThinkPad machine. “Like a mechanic tunes the engine of a car, we could tune the way the keys responded to the touch. 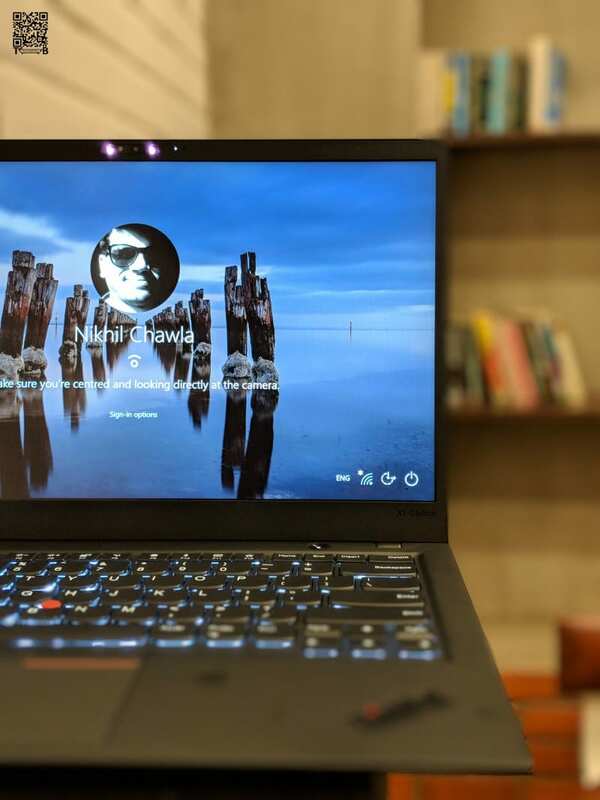 No one has ever been able to duplicate our knowledge of the tactile sensations of a keyboard,” said Arimasa Naitoh, lead engineer for the first ThinkPad and current Lenovo Fellow and VP, Product Group also referred to as ‘Father of the ThinkPad’. As they haters gonna hate and so is the case with the ThinkPad’s keyboard as some people compaing that the Fn (Function) is wrongly placed instead of the Ctrl key. Well, I have good news for you folks, now you can remap the keys and change Fn to Ctrl key or vice-a-versa. Similarly, one can customise the F12 to any shortcut they desire. 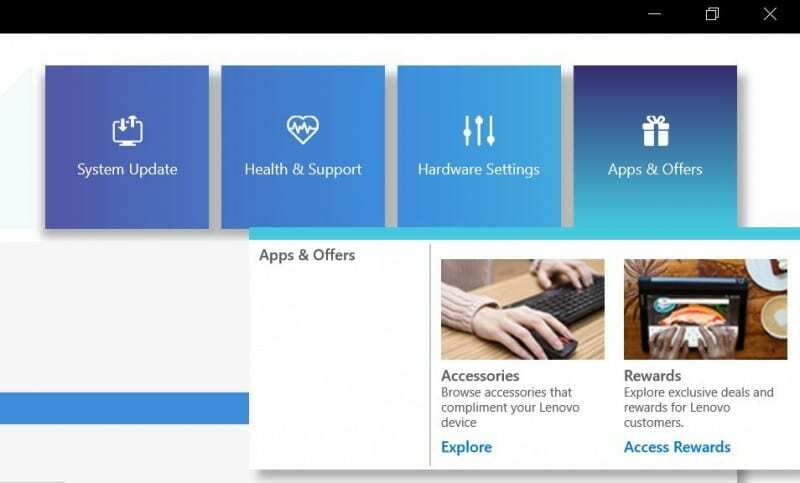 All this can be done through, Lenovo’s Vantage app that comes pre-installed on the latest Lenovo machines. 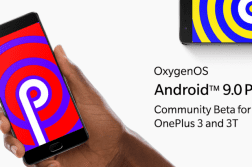 If you don’t have it already installed then I’d recommend you all to install as it helps to update the drivers, run device diagnostics, request support and even discover new apps. 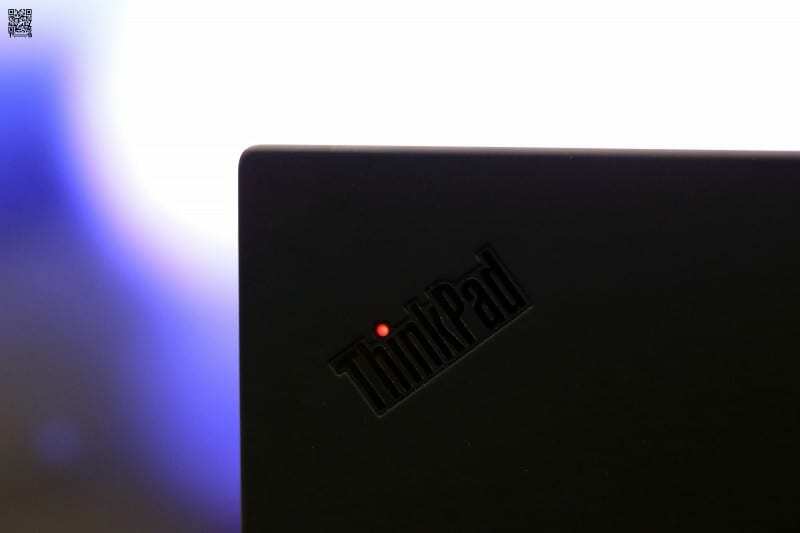 TrackPoint is an integral part of the ThinkPad lineage. It started with the iconic ThinkPad 701C to remove the trackpad and save space on that genius of a butterfly keyboard. 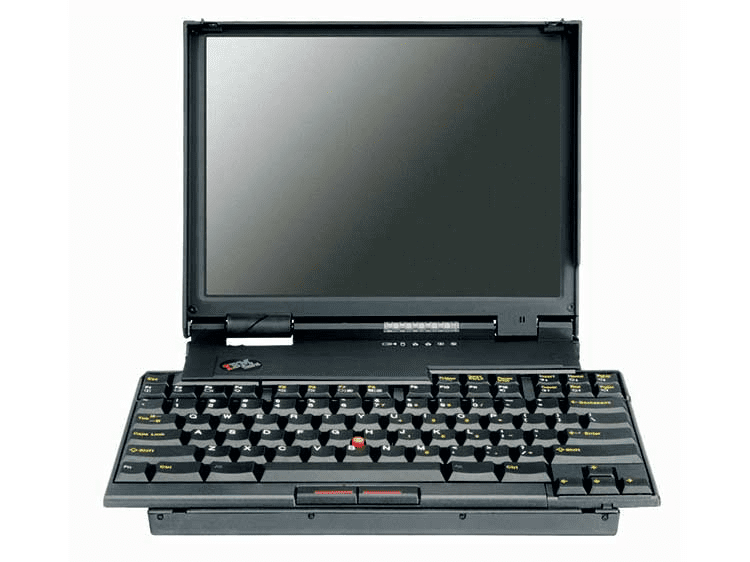 And for the past 25 years it has been perfected with each model/generation of ThinkPad. Once you get used to the TrackPoint then there is no turning back. I know a lot of people who have never used a mouse or the trackpad as they aren’t able to achieve same level of precision as on a TrackPoint. 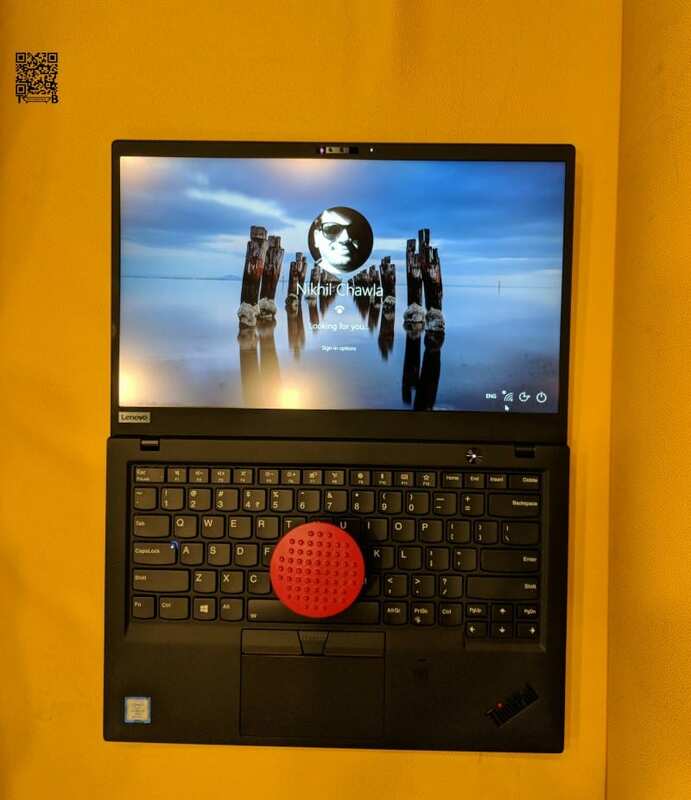 Like any other ThinkPad, the red TrackPoint ball sits at the meeting point among the G, H, and B keys on the X1 Carbon too. The touchpad on the latest X1 Carbon is hugely improved and better suited for the Windows 10 experience all thanks to the Windows Precision drivers. If you think about it, the Touchscreen, Keyboard, TrackPoint and Touchpad are all different ways of interacting with the machine. Each of them coming together for a unified user experience like no other. For any enterprise machine its serviceability is one of the key buying decision. 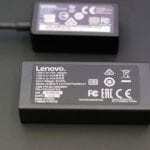 And it’s a known fact that Lenovo has always been on the forefront of it. It’s a shame that I couldn’t find any details of it on iFixit or other sources. But, I did open it under 2 mins using a Philips screwdriver to unscrew the 5 screws. How I wish that the new X1 Carbon had Dolby Atmos audio to complement the Dolby Vision display. 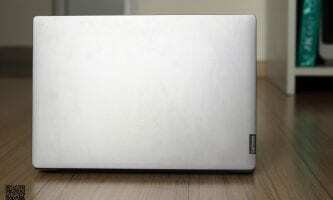 But alas we have to settle for a mediocre set of speakers that are loud enough but lack the punch like on my Yoga 920. But, I’ll give it a pass as it’s an enterprise notebook. In plane sight, the ThinkShutter might look like just a plastic plate that covers the camera but when you have to install it in the thinnest of bezels it’s an engineering challenge. During the media briefing at CES, Kevin explained how most of us would look at it as piece of tiny plastic slider. But the engineers in Lenovo, Japan spent weeks finding the perfect size, mechanism and material that doesn’t interfere with other internals. Here is a video from last year that Lenovo shared talking about how they achieve perfection on the ThinkPad X1 Carbon. Thanks to ThinkShutter, your concerns about being watched without your permission or activating the webcam are ‘Shut’. 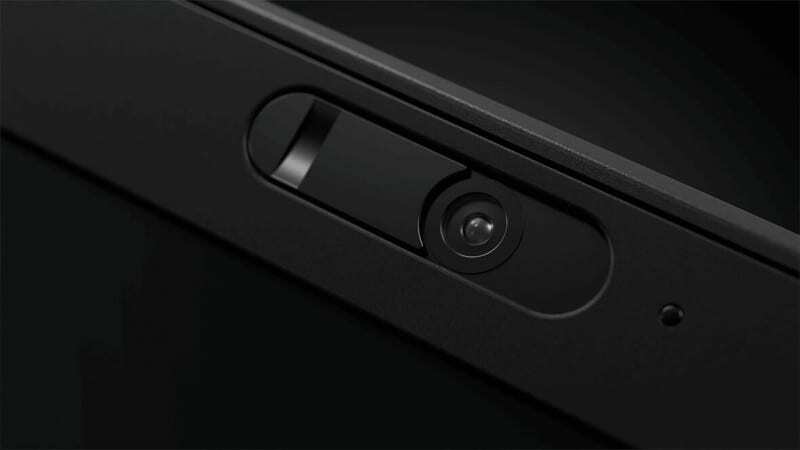 This built-in sliding cover ensures front-facing camera privacy and security. 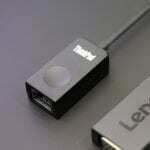 We had talked about ThinkShutter in detail when we reviewed the Lenovo ThinkCentre last year. Using Vantage, users can update the PC, run hardware scans, optimize performance, change webcam settings, and even set brightness and eye care settings. This year, the X1 Carbon gets a jump from 7th Gen Intel Dual-Core processor to 8th Gen Intel Quad-Core processor giving it a performance boost. The highest config you can go for is Up to 8th Generation Intel® Core™ i7-8650U with vPro® (1.90GHz, up to 4.20GHz with Turbo Boost, 8MB Cache). 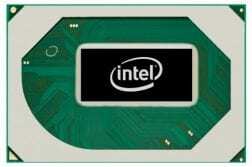 The CPU is backed by Up to 16 GB LPDDR3 2133 MHz (soldered so no upgradability after purchase). In terms of storage, it comes with Up to 1 TB PCIe-NVME SSD OPAL2.0 and boy that Samsung SSD is superfast and also user upgradable (though you many never need to). 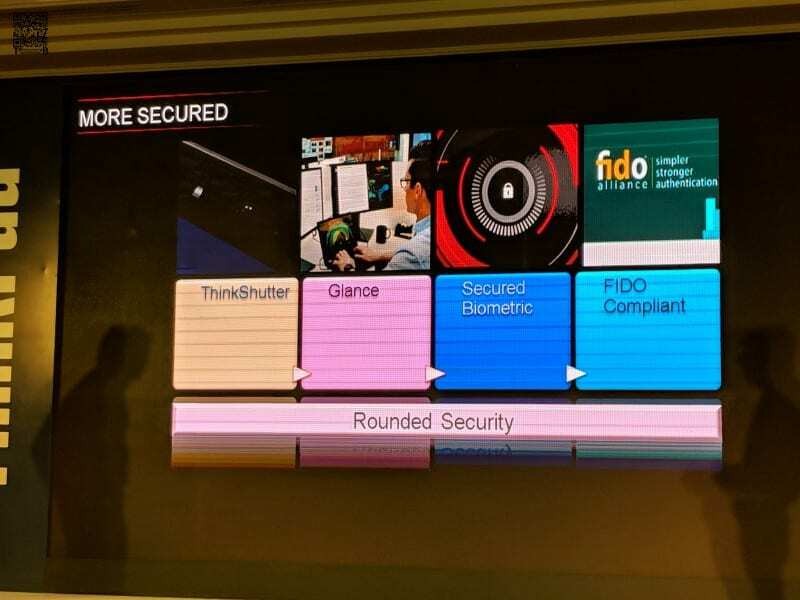 The fingerprint sensor has its own SoC which means the enrolment, fingerprint pattern storage, biometric matching happens on the chip itself. 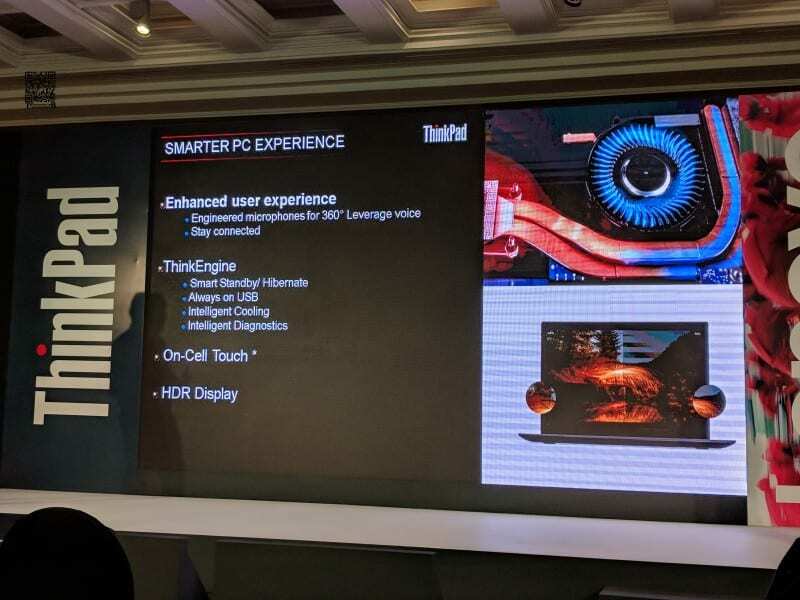 The X1 Carbon come with an Integrated Intel UHD Graphics 620 which is comparable to Nvidia 910M or 920M. The performance of this GPU depends on factors like memory configuration (DDR3/DDR4), L3 cache size, and the maximum clock rate. Even though it’s not fair to test a ThinkPad for gaming but why should consumer notebooks have all the fun? So, we did try out a few games and the Intel UHD Graphics 620 can only run casual games like Team Fortress 2 and Rocket League. Games like Far Cry 5 would run as low as 7FPS on Medium settings and 15FPS on Low. PUBG at 18FPS on Low (1280×720) settings. The X1 Carbon comes integrated Li-ion 57 Whr with RapidCharge technology that Lenovo claims would give you 15 hours of usage on one charge. Of course, that is the under specific settings specifically done for benchmarking but you would be amazed to know that it actually lasted 11-13 hours of non-stop usage. ThinkPad X1 Carbon has mastered tackling heat and no matter what you throw at this machine it remains cool and silent. Even at 100% load and the fan running at the highest RPM it remained silent. 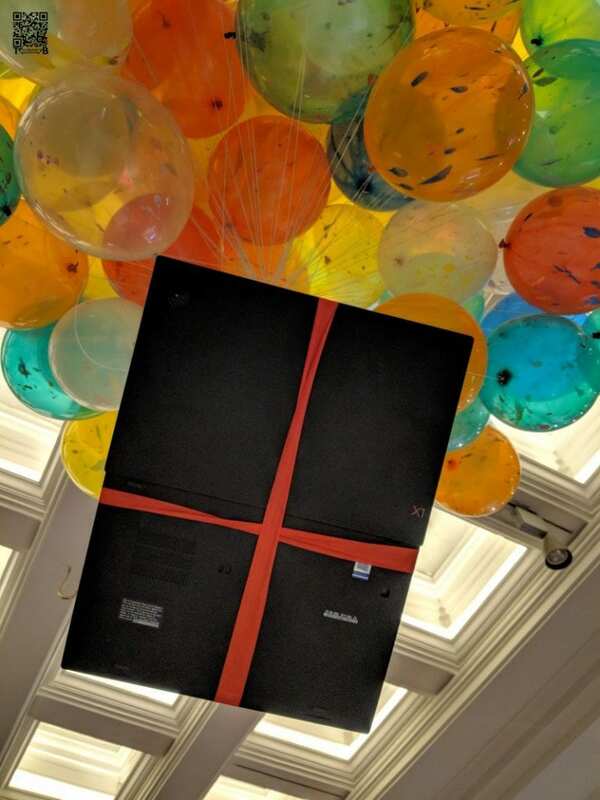 I strongly believe that the 6th gen X1 Carbon is the only notebook apart from ThinkPad 701c that deserves a place in (MoMA) Museum of Modern Arts in New York. I’ll be very honest, before I started using a ThinkPad at my first job. I used to wonder why people buy these mundane laptops. Only after using and maturing (yep, from a boy to a man) I learnt that ThinkPad’s are timeless classics. The X1 Carbon is a perfect example of a timeless classic! They say you can’t put a price tag on a piece of art but Lenovo had to and it’s priced at – USD and for INR in India 1,29,000 + 18% GST. 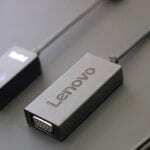 Not available on Lenovo India’s website (You can only buy the last gen ThinkPad X1 Carbon online). At present you can buy the 2018 X1 Carbon only at Lenovo Stores or its Retail Partner stores. All said and done, always remember It’s not a laptop. It’s a ThinkPad.